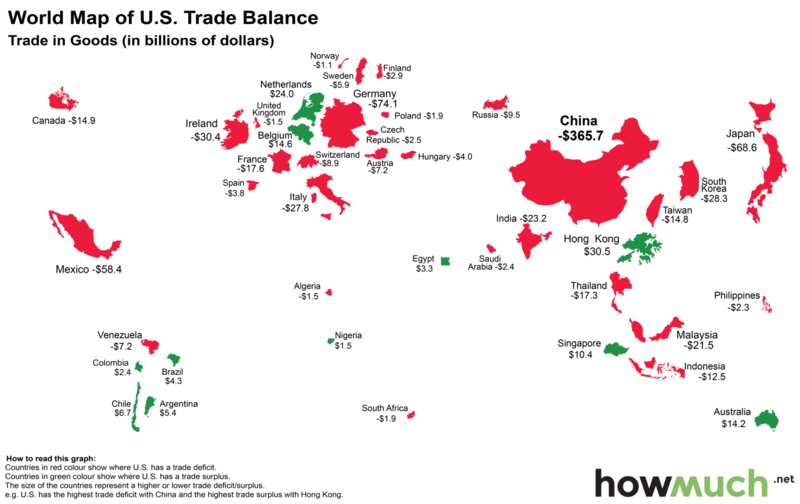 We often hear about the US trade deficit with the rest of the world. Wolfram Alpha claims it is on the order of $706 billion per year. This Bloomberg article says $502 billion. The number itself is not as important as the fact that is it pretty big. 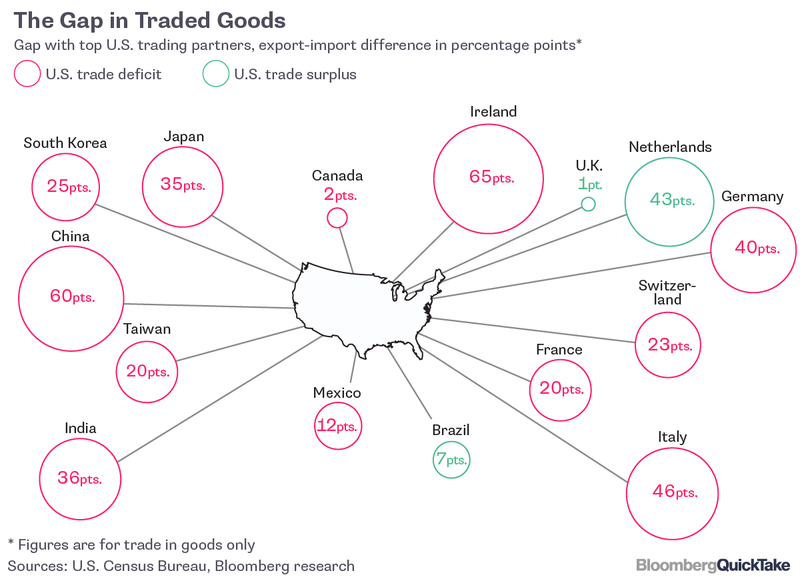 Below is the breakdown of this number showing all of the main US trading partners, and which of them have the trade deficit with the US, and which don’t. The conclusion is: almost everyone! This entry was posted in Data Analysis and Visualization, Money, business, investments, statistics, trends, Top 10, Top 20, Top 50, Top 100 and tagged top trade partners, trade deficit and surplus, us economic statistics. Bookmark the permalink.